If the person you are buying a gift for owns an iPhone, then the mophie juice pack air™ would be the perfect gift for them! The juice pack air™ is a case and a rechargeable Smart Battery. If you find your cell phone battery is running low, you can just flip the power switch and your phone will immediately begin charging while you are using it. Once your phone is fully charged, you can switch it back to standby mode (in red). I first tested the 3G/3GS charger out during the Thanksgiving holiday, when I had to travel to San Francisco. I have been using it everyday since then and can't imagine living without it! I can't wait to use this during fashion week when my iPhone battery always seems to be low! 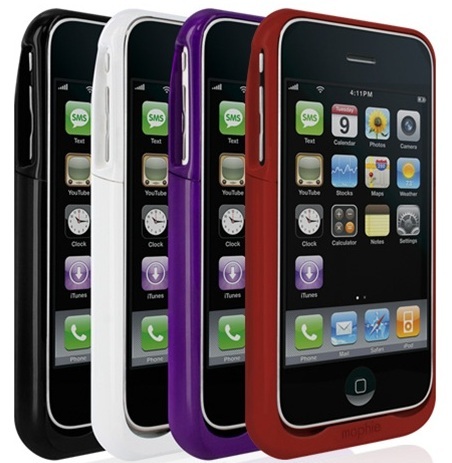 I love the ergonomic design of the hard shell case. It does a great job of protecting the iPhone from damage (I have accidentally dropped my iPhone in the case and not a scratch in sight)! It comes in different colors too - black, red and white for the iPhone 4 (juice pack plus™ for iphone 4 coming soon, in different colors) and black, purple, red and white for the iPhone 3G/3GS. 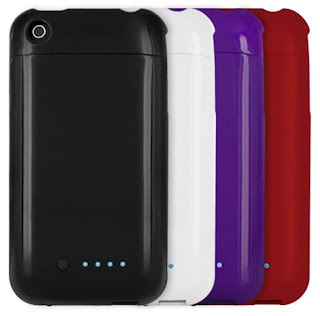 There is a 4-light LED status indicator on the back of the case, indicating the charging mode and status of the battery life. 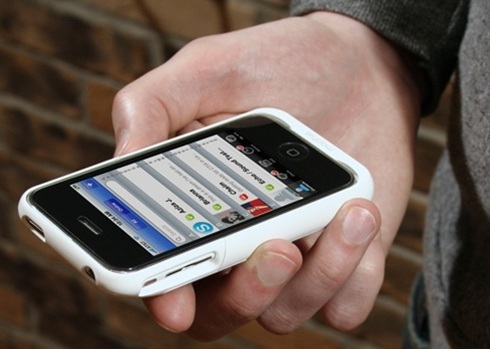 To check your juice pack battery status, just press the button on the lower back of the case. One LED means it's almost empty and all 4 LED lights lit up means it's fully charged. A USB cable is also included, and can be plugged into your computer or iphone friendly power source. 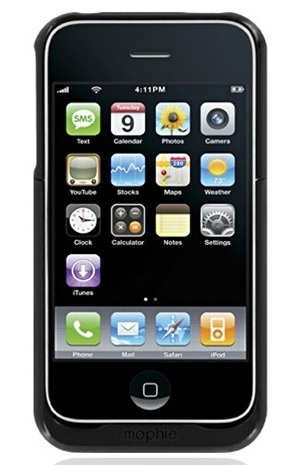 The mophie juice pack air™ is so easy to use! I must admit, I don't have much time or patience to read directions so I started using it immediately and perused the instructions later. If you already have an iphone case, you can always switch the case out when you need to charge your phone or you can bring the juice pack with you as a back up! 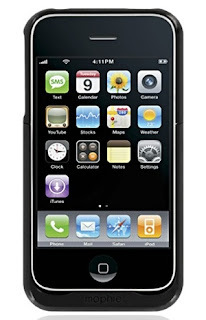 The mophie juice pack air™ is available for the iPhone 4 ($79.95), 3G/3GS ($49.95) and iPod touch 2G ($59.95) at mophie.com.